Kevin Le Blanc (The Island) driving from the 18th tee during the 2013 Leinster Boys’ Under 15 Amateur Close Championship at Ashbourne Golf Club. (Monday 08/07/2013). Picture by Pat Cashman Kevin Le Blanc with the Leinster U15 Boys’ trophy. 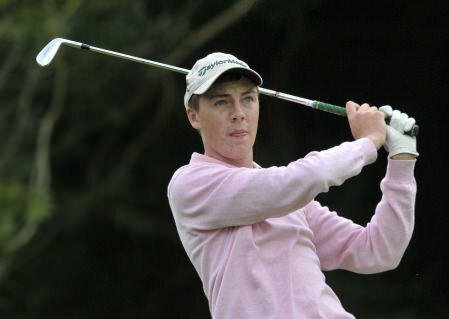 Picture by Pat Cashman Rosslare’s Jack McGarry won the Under 14 title with a 74 whlle Beaverstown’s Sean Dowling claimed the Under 13 crown with a 75. The Island’s Kevin Le Blanc believes he now has the game and the confidence to become the youngster championship winner since Rory McIlroy won the Irish Close nine years ago.